One of our most popular bed, a fantastic value and VERY comfortable! 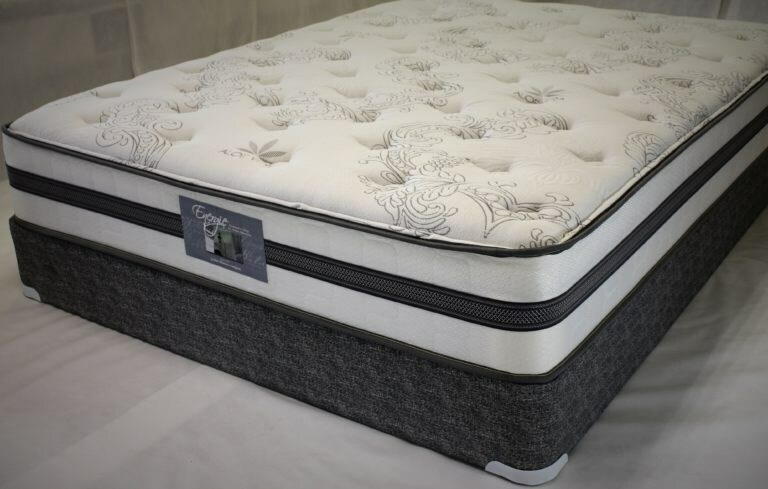 This high profile mattress was orthopedically designed as a strong and supportive one sided bed with heavy gauge steel, edge supports and highly resilient high density foams to give you the extra support and comfort you need to get a good nights rest. This beautifully quilted European Aloe Vera stretch knit cover provides you with the ultimate in luxury and the feel and softness of more expensive bedding. Construction features of this one sided series are: 416-13 Gauge High Profile Heavy Duty Double Tempered spring unit. 10 heavy duty double cup edge supports. Insulator pads both sides. Layers of highly resilient foams luxuriously quilted to a tack and jump European Aloe Vera stretch knit cover.